Fertility specialist Raj Mathur will look at what can affect your chances of conceiving naturally, when and how to seek advice and will run through the tests you should have. Miscarriage expert Professor Lesley Regan will cover the causes of miscarriage and why do some women experience recurrent miscarriage. She will discuss investigations and what can be done to help. Fertility specialist Ertan Saridogan will give the low down on endometriosis and how it can affect fertility. He will cover all the options for treatment and how to choose between them. Leading male fertility specialist Professor Allan Pacey will explain male fertility and how sperm are made. He will talk about what affects the number and quality of sperm that a man make and the tests that are used to diagnose male fertility problems, as well as the solutions that can be offered. Director of the Donor Conception Network Nina Barnsley will explain what you need to think about when considering donor treatment, how to decide whether it’s right for you and will discuss openness around donor treatment. Chair of the Association of Clinical Embryologists Jason Kasraie will look at the latest new techniques and technologies in the fertility world and consider evidence is as to whether they work and discuss the factors that influence the chances of successful treatment. Fertility counsellor and Chair of the British Infertility Counselling Association Angela Pericleous-Smith will discuss the pressures on yourself, your relationships and your friendships. She will explore coping strategies and explain how to manage anxieties. Fertility specialist Ephia Yasmin will be explaining all you need to need to know about egg freezing including the chances of success, as well as looking forward to future developments in egg freezing. Women’s Voices Lead at the Royal College of Obstetricians and Gynaecologists Kate Brian explores why people chose to go overseas and looks at the risks and benefits. She will give some tips to consider when you are making a decision. The HFEA’s Jo Triggs will explain what to look for when choosing a clinic, what statistics can and can’t tell you and will explore the other factors you should take into account. Fertility Fest founder Jessica Hepburn will chair a session with Gateway Women’s Jody Day, authors Lesley Pyne and Yvonne John and the Dovecot’s Kelly Da Silva who have all helped to change the way we think about living without children. They will discuss how to find peace and happiness after unsuccessful treatment, and will talk about the societal attitudes to childlessness that need changing. Professor Adam Balen is a leading specialist in PCOS and will discuss the causes of this common cause of fertility problems. He will discuss how PCOS should be investigated and treated and will also look at ways that you can help yourself. If you want to know more about IVF, fertility specialist Jane Stewart will explain what assisted conception is and why it doesn’t always work. She will talk about the limitations of IVF and why it may not always be the right treatment. One of the UK’s leading embryologists, Rachel Cutting will explain how embryos develop from fertilisation to blastocyst. She will look at how embryos are graded and selected, and will explore how time-lapse can help. She will also talk about embryo freezing. Men often get overlooked when it comes to fertility support. Richard Clothier has been a leading voice for men’s experiences of fertility problems. He will focus on men and fertility, and the importance of talking as well as exploring tips for mitigating the grief. Is your lifestyle having an impact on your fertility? Grace Dugdale is a reproductive biologist and nutrition scientist and will give evidence-based information about health, diet and lifestyle in relation to male and female fertility. She will talk about what can impact your fertility, and about preparing your body for pregnancy. 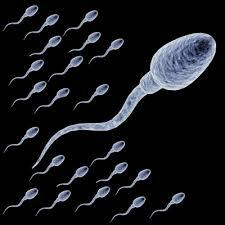 IVF treatment is usually more like a marathon than a sprint. Emotional and financial resilience are crucial to continuing the journey, and there can be pressure to pay for additional tests, drugs or interventions which may not increase the chances of success. Fertility specialist Professor Yacoub Khalaf will discuss what’s worth paying for and what isn’t. Are you eligible for NHS funded fertility treatment? There are guidelines from the National Institute of Health and Care Excellence (NICE) on who should qualify, but these are often ignored. Sarah Norcross from Fertility Fairness and Aileen Feeney from Fertility Network UK will explain the current funding situation and what you should be entitled to. Psychology Professor Jacky Boivin explains stress, and what evidence there is about the impact it may have on fertility. She will also discuss strategies for coping with stress. What is ovarian reserve testing and what does it mean? Fertility specialist Melanie Davies will look at ovarian testing and what it can and can’t tell you. She will explain the realities of having fertility treatment when you are older and what this means for the chances of success. One of the UK’s leading fertility lawyers, Natalie Gamble,will discuss the legal situation regarding parenthood for sperm and egg donation. She will explain surrogacy law and practice, recent developments and law reform. If you haven’t seen them already, do catch the brilliant videos with Professor Allan Pacey titled #spermbanter made by Dr Fertility for National Fertility Awareness Week which give the facts about sperm production and what makes a difference to your sperm count. Professor Pacey is one of the country’s leading experts on male fertility and these videos are incredibly informative and give the facts – and also address many of the common myths about factors which can influence sperm and fertility too. Do catch them – watch them all – it won’t take long. You may find it reassuring and you will certainly find it informative. There are a number of others – you will find them all once you start watching! Have you booked your tickets for the Fertility Show? This year’s Fertility Show will take place at London’s Olympia on November 5 and 6. If you haven’t been before, it is certainly worth considering a visit as you will find many of the country’s leading experts under one roof offering a wide range of talks on every aspect of fertility over the two day show. There are also more than 100 exhibitors from clinics around the world as well as advice groups, charities, acupuncturists, diet, nutritional & lifestyle advisors and many others. You will find something for you in the seminar programme and speakers include Professor Adam Balen, Professor Allan Pacey, Yacoub Khalaf, Professor Geeta Nargund, Zita West, Marilyn Glenville, Emma Cannon, Jessica Hepburn and many more. You may have heard about recent research suggesting that boys born after ICSI were likely to have lower sperm counts – and you may have been concerned about it. If you were, you may find this commentary from Bionews by Professor Allan Pacey of Sheffield University, who is one of the country’s leading sperm experts, reassuring. 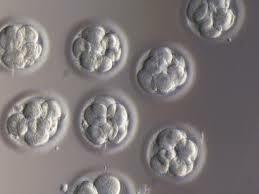 There has always been a question about the future fertility of males born using ICSI, and it had been suggested that they might inherit their fathers’ fertility problems. The latest research has found that the sperm of ICSI-conceived men is of lower quality than average, but when fathers have particularly poor sperm quality this doesn’t seem to be passed on to their sons. You can read Professor Pacey’s interesting commentary on the subject here. The brilliant NHS Choices also has a commentary on the research behind the headlines, and you can find that here. Another week, another Daily Mail story about IVF. You may have read this one about a “potent” new fertility treatment that is cheaper and less invasive than IVF and leads to a “50% increase in embryos”. As usual with these stories about marvellous new advances, it all sounded wonderful and there was little to suggest that it might not be available at a clinic near you tomorrow. I always read to the bottom of these stories. You usually find a sensible quote from a British expert, often Professor Adam Balen of the British Fertility Society or Professor Allan Pacey of Sheffield University if it’s a story about male fertility. In this case, there was no British expert, just a paragraph from the HFEA about in vitro maturation which wasn’t quite the same thing as the whole point of this “potent” treatment is that it is apparently an addition to in vitro maturation where substances are added to the egg cells to try to improve egg quality. The report is based on research from Copenhagen University published in the American Journal of Epidemiology which found that healthy young men who had a “couch potato lifestyle” and watched more than 5 hours of TV a day had lower sperm counts than those who were more active. It isn’t the first time that research has concluded that too much TV is bad for your fertility (see this report here with some common sense advice from Professor Allan Pacey) but this research discovered that sitting at a computer screen for the same amount of time didn’t have the same impact – it was thought that the men who watched TV were also likely to eat less healthily and take less exercise – which brings us back to the root of the problem with the point about watching the Olympics being bad for your sperm count. The reality is that it’s a healthy lifestyle which makes a difference to your sperm – and to your general health and well-being. You don’t really need academic researchers to tell you that a man who spends entire days in front of the TV eating chips and drinking beer is less likely to be fertile than a man who watches masses of Olympics on TV but also eats healthily and enjoys getting out and about taking moderate exercise. Researchers at Sheffield University are examining the way the red pigment compound found in tomatoes may impact on sperm. It’s called lycopene and the Sheffield team led by leading expert Professor Allan Pacey are investigating the impact taking a lycopene supplement has on sperm quality. The study will use samples from a team of sixty volunteers over three months as that’s how long it takes to produce sperm, so the results may be available later this year. 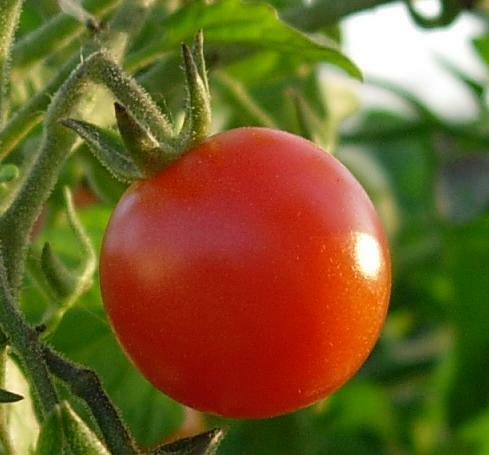 There have been claims that lycopene reverses DNA damage to sperm and can improve quality by up to 70%, so this could be a very interesting study. There’s more about the story in the Daily Mail, under a headline about a “tomato pill” which may “supercharge” sperm here and a calmer version on the Sheffield University website here ! Who will you find at this year’s Fertility Show? It’s here at last – the seminar details for this year’s Fertility Show are now available online for you to browse! Once again, there are a really great array of speakers covering pretty much everything you might want to find out about fertility problems, tests and treatments. Starting with the basics, there are talks from Zita West, nutritionist Marilyn Glenville and IVF Hammersmith’s Stuart Lavery. 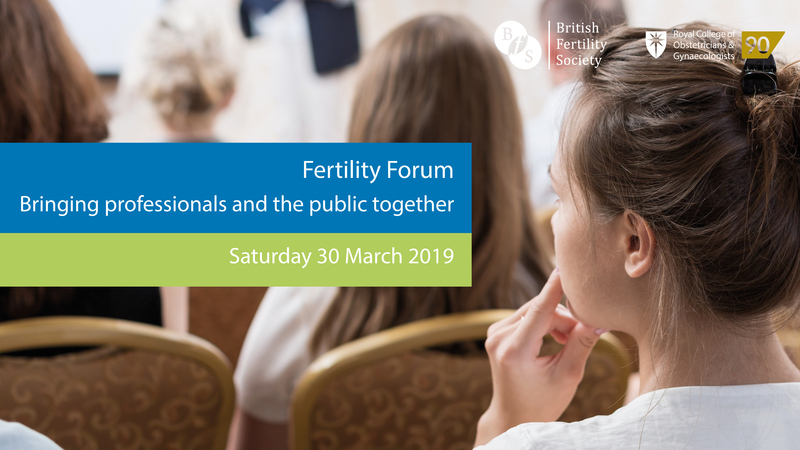 There are talks on ovarian reserve (from James Nicopoullos, Consultant Gynaecologist at the Lister Fertility Clinic) and on the causes of infertility, and Infertility Network UK trustee Jessica Hepburn will be talking about the patient experience. Leading consultant Yacoub Khalaf will explain how to improve your chances of success, Professor Geeta Nargund, Medical Director of CREATE Fertility,will be looking at natural cycle and mild IVF, the HFEA’s Juliet Tizzard will discuss making sense of success rates and I will be talking about choosing a clinic. There are some interesting debates on new techniques in IVF and on dealing with particular problems. Professor Lesley Regan will be covering recurrent miscarriage, Dimitrios Nikolaou, lead clinician at Chelsea and Westminster NHS Hospital, will talk about treatment for over 40s while Dr Melanie Davies, consultant in the Reproductive Medicine Unit at London’s NHS University College Hospital will talk about how to deal with the diagnosis of unexplained infertility. Sam Abdalla, Director of the Lister Fertility Clinic, will ask whether anyone is too difficult to treat with a low ovarian reserve, Professor Adam Balen, Chair of the British Fertility Society, will talk about PCOS (polycystic ovary syndrome) and Tarek El-Toukhy will discuss treatment for older women. There will also be some interesting discussions on donor treatment with Laura Witjens of the National Gamete Donation Trust and Kamal Ahuja of the London Women’s Clinic as well as a variety of talks on different aspects of fertility treatment overseas. Complementary therapies such as acupuncture, hypnosis and massage will be covered in a number of seminars. There will be four sessions for single women and lesbian couples and separate sessions on surrogacy. Male fertility issues will be covered by Professor Allan Pacey of Sheffield University, who will be talking on both the Saturday and Sunday so that no one needs to miss his sessions. Fertility counsellors Jennie Hunt and Tracey Sainsbury will look at emotional issues and coping with treatment, along with Anya Sizer who is the support co-ordinator at London Women’s Clinic. The difficult issue of whether to try again after unsuccessful treatment will be covered by Tim Child who is Associate Professor and Subspecialist in Reproductive Medicine at the University of Oxford and and Honorary Consultant Gynaecologist at John Radcliffe Hospital. Finally, there will also be three sessions over the weekend looking at different aspects of adoption. If you’ve been trying to conceive for a while, you may think you know all you could possibly need to know about sperm and eggs and how they meet- but I’d really recommend this brilliant article by Professor Allan Pacey from the University of Sheffield titled ‘The Journey of the Sperm’.